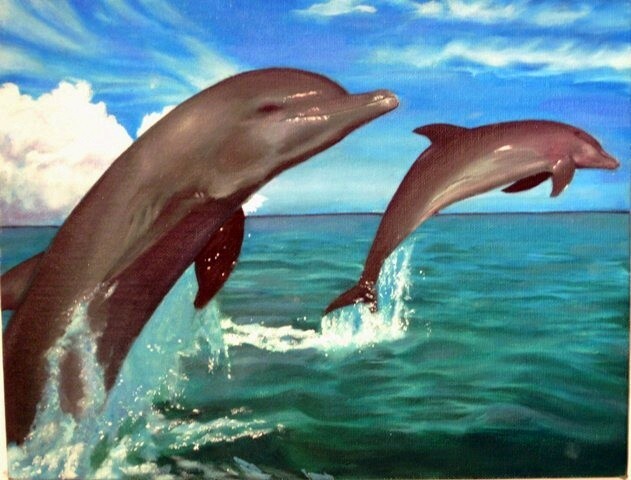 Oil painting of my favorite animal - dolphins! Great work! I love how you can see the shine of water on the dolphins! amazingly realistic! the water and reflections just look fantastic! wow! I also do oil paintings but ur way better than me! this inspires me to become better ^^ keep up the good work! These dolphins are excellent. They actually look wet, I want to touch them to feel their silky skin. The color of the water and the look of the water is excellent.